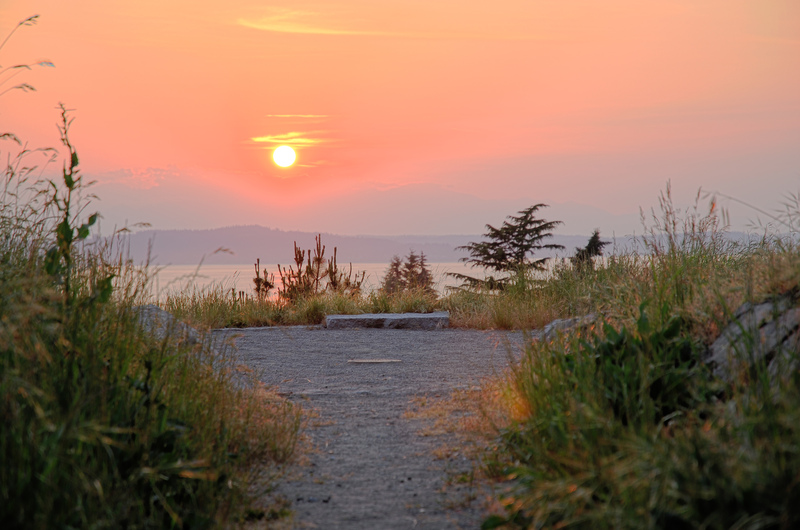 Come watch the winter solstice sunset at Solstice Park in West Seattle on Tuesday. We’ll see if the sunset lines up with the placed marker. I’ll be there even if it is cloudy because sometimes the Sun peeks through just as it begins to set, but if it is driving rain or sleet I’m staying home with a cup of tea. The lunar eclipse will be the night before – early, early Tuesday morning, just after midnight. Full Moon AND LUNAR ECLIPSE on 21 December 2010 at 12:14 a.m. Pacific Standard Time. Yes, every solstice and equinox at Sunset. If you look at the Google Calendar in the upper right of this page you’ll see all the dates listed. I’ll put up a post with details closer to the date as well.